Fleece Lined Leggings 2 Pack Just $15.95! PLUS FREE Shipping! Down From $39.95! You are here: Home / Great Deals / Fleece Lined Leggings 2 Pack Just $15.95! PLUS FREE Shipping! Down From $39.95! 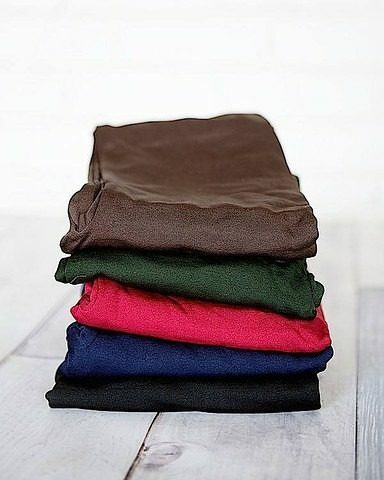 Fleece Lined Leggings 2 Pack Just $15.95! I love fleece lined leggings! They are very comfortable and very warm! Right now you can get this great deal – TODAY ONLY for 2 pair of Fleece Lined Leggings just $15.95 PLUS FREE shipping! Just use code: LEGGINGS at checkout to get yours! You can choose from 5 colors. Each 2 pack comes with 1 black and you choose your choice of the other color.